Mix & Match Accent Lamp Shade- Match with any size A lamp base you like best. Shade Dimensions: Top: 8" Bottom: 10" Slant: 7.5"
Give your Pendant Light a Vintage look with the Metal White Shade Metal Pendant Light Shade, Secure this Shade using Threaded Light Socket with Socket Rings. This line voltage flex track head is to be used with flex track starter kit item# 1000777346. The head is offered in a black finish and black metal shade. It uses GU10 50 watt Halogen Bulb. Install multiple heads on your flex track rail to accommodate your lighting needs. 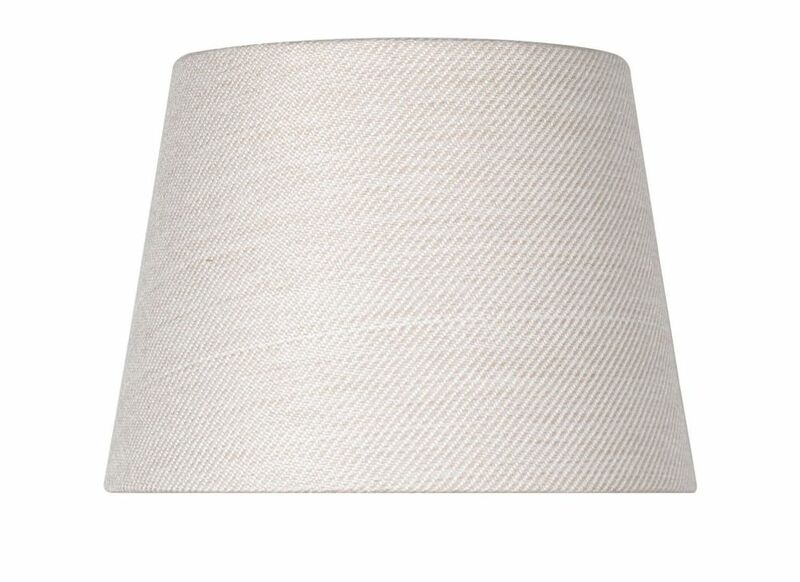 Textured Oatmeal Hardback Accent Shade Mix & Match Table Lamp Bases & Shades allow you to create your own signature style. Choose from an array of Traditional, Contemporary, or Transitional styles. These classic bases & shades can freshen up an old lamp, or let you design a lamp for your individual style.